Bangladesh Army University of Engineering & Technology is the upcoming leading army university in Bangladesh. This university’s location is in Natore. Now, for more details read the article below. You will find all official and latest info about this university in here. 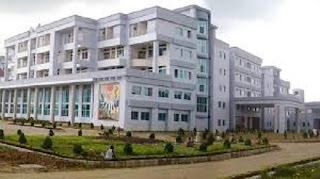 Bangladesh Army University of Engineering & Technology is an army operated university. And, it is situated in Qadirabad Cantonment, Natore District, in Rajshahi Division Bangladesh. This university has been established by the Army of Bangladesh. It has established with the permission of the people’s republic of Bangladesh. The nickname of this university is BAUET. Now, its mission and goal are to provide quality education with at an affordable cost. And, we hope soon this university will create its image like other Army Educational Institutions. Now, President Abdul Hamid is the current Chancellor of BAUET. And, Brig Gen AHM Shahidullah (Retd) is the Vice-Chancellor of this university. This university has all kinds of latest facilities for all students and the teachers. It has separate hostels for male and female students. And, it also has the lab facility for all the engineering students. Its library is good and filled with many books, magazines, and journals. 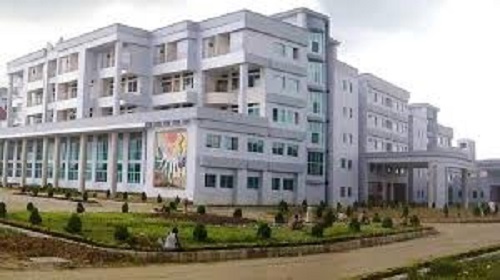 Bangladesh Army University of Engineering & Technology has 5 faculties and under those, it has 15 departments. Now, those faculties and departments are given below. • Faculty of Electrical and Electronic Engineering. • Department of Electronic and Telecommunication Engineering. • Department of Information and Communication Engineering. • Faculty of Civil and Environmental Engineering. • Faculty of Mechanical Engineering. • Department of Apparel Manufacturing Engineering. • Faculty of Business Studies. • Faculty of Science and Humanities. The admission process in Bangladesh Army University of Engineering & Technology is not that simple. They only admit those students who are capable of the engineering education here. The students must participate in the admission test and the fitness test. Without those test, no one can admit here. The students have to attend in the medical check-up at BAUET medical center. After the fitness test, they will produce test reports of urine for R/E, blood for HBs Ag and blood grouping before the BAUET medical authority. And, the students who will select in the admission and fitness test can admit in this university. The tuition fee of Bangladesh Army University of Engineering & Technology is affordable for people. Now, EEE has the whole semester cost 5, 04,000 Taka. And, CSE, ETE, and ICE also have total semester cost 5, 04,000 Taka. The CE, B. Arch., ME, and AME courses whole semester fee is again 5, 04,000 Taka. Now, the BBA, MBA, EMBA, and LLB has total semester cost 4, 00,000 Taka, 1, 10,000 Taka, 90,000 Taka, and 2, 20,000 Taka. Finally, it is a guarantee that it will be a good Army university like others. And, come again for more information about Bangladesh Army University of Engineering & Technology.